Grappling with global and local environmental change is often contentious, with many interests at stake and possible solutions.. Our experience suggests there are many value-added benefits of tapping into the collective wisdom of a group as a way forward. Capturing the diverse knowledge, perspectives, and judgements from a group in an effective way can lead to more sensitivity around local perceptions and needs, improve the level of buy-in around decisions from a broader mix of people, strengthen the level of shared learning among individuals, and supplement knowledge gaps in data limited situations. Despite the potential benefits, it can still be a challenge to meaningfully interact with a group since many are already saturated or fatigued by engagement overload. Finding the right way to elicit perspectives and information is the key to harnessing the value and collective intelligence of a group. 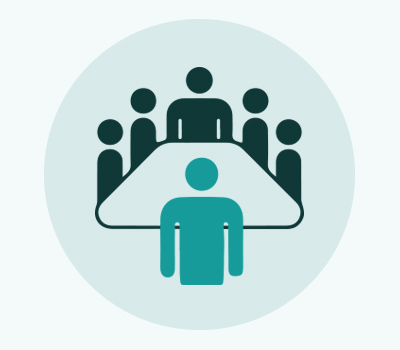 What sets our facilitation and stakeholder engagement services apart from others is our unique combination of facilitation, scientific expertise, and systems thinking. This combination of expertise is important since our facilitators have a deep technical understanding of the perspectives of scientists, decision makers, and stakeholders, which is valuable for ensuring that engagement strategies are focused on eliciting the critical information that matters and task processes are appropriate for the target audience. Moreover, our facilitators work closely with other technical experts to design and deploy engagement strategies that help bridge the gaps in understanding that often arise among scientists, decision makers, and stakeholders to find the emergent solutions from a group. These engagement strategies can include face to face workshop facilitation, remote webinar meetings, one-on-one interviews, community outreach, or structured surveys ranging from simple (open-ended questions) to sophisticated approaches (discrete choice methods).